So, we all know that the coming iPhone 8 won’t have a physical Home button. 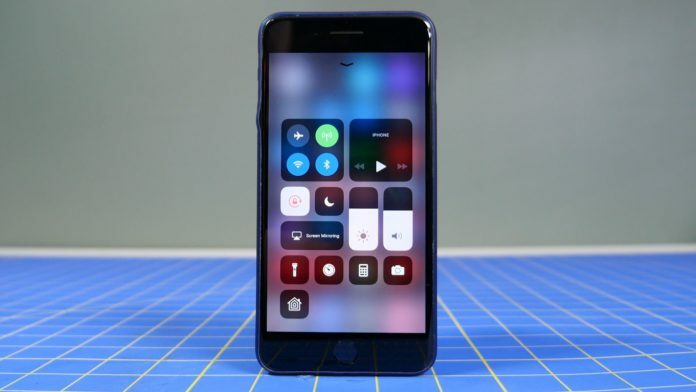 There is too much fuss around just that why Apple ditched their Old Home Button, many users are supportive for changing the home button and Many arent. Different people have different opinions about ditching the Home button. 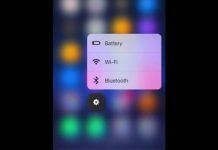 All we know is that the bottom area of the device, for some, will be used to host the navigation bar items, as well as a virtual Home button. Of course, several other functions rely on the current Home button too but for now please allow me to simplify a bit and assume an alternative can be found for every edge case. 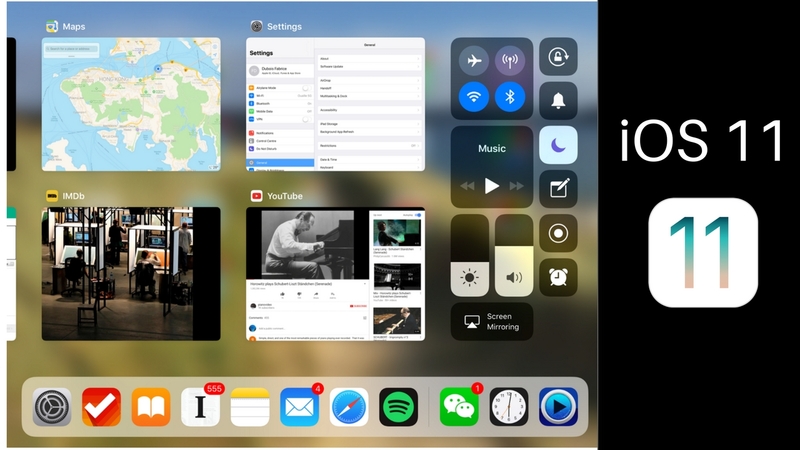 If we try the Switcher by Swiping from the bottom edge not only reveals the control center as it did in previous iOS versions; now it comes with the favorite apps dock and the app switcher too, all on the same screen. 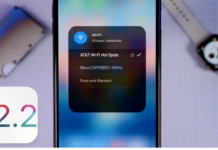 There is something interesting as if you tap anywhere on the Blurred option you will be taken back to Homescreen which is the Control Center while you can use the Dock to place your favorite apps, recent apps and more. The favorite apps bar, as on iPad and on macOS, is called Dock and can be revealed (alone, without transitioning to the full app switcher) on top of any app. There may even be room to include an extra suggestion in the right part of it. This is your level-1 cache to switch to your next app. The level-2 cache, that you access if you continue swiping up. I nickname it level-2 cache because it has more apps to offer than the dock, but still less than the home screen. Here the current app has been ‘parked’ temporarily. And this is key. That’s basically what we have in mind when (we think that) we close an app. I assume most people are now aware the app isn’t killed, it’s just parked. The concept is consistent with that of the iPad, except that the iPhone version would use two separate rows due to the elongated display ratio. Here the design relies on a common reflex: if we can’t find what we’re looking for in a view, we tend to look for a way to escape the view. And if we can’t find any concrete affordance to escape, then we tend to tap where we can! I may be over-simplifying, granted. But over-simplification is often more manageable than over-complication. This is more striking, purer, than virtualizing it. Removing the button completely would be the ultimate refinement. Overlay based solutions such as a virtual button have their own issues: how to make sure the button will contrast well with the app view behind it? How to manage touch conflicts with the app? Can we move it around? etc. Getting rid of it completely removes these concerns. No impact on the app UI level. Apps remain unaware of any button or whatever rumored function bar and therefore shouldn’t need to adapt their behavior or layout in any way. When an app is brought to the foreground, the entire floor is its. Software complexity is kept low. Again, my experiment simply reuses what they’ve already built for iPad. We’re not talking about yet another mechanism made just for the new iPhone. For the user, that guarantees a certain level of familiarity, too. Well, that’s it for the take on the thought of iOS concepts. Do tell us your thoughts on this in the comment section below.